In recent weeks, we’ve summarized some new research documenting the ways subtle environmental cues can influence our behavior. A voter whose polling place is in a church is more likely to support the religious right. Looking at logos for fast-food franchises seems to make people impatient and in need of instant gratification. Now comes still another study on how our surroundings interact with our unconscious minds — one that points to a bright outcome. It concludes we’re more likely to come up with insights if we’ve been exposed to that universal symbol of brilliant ideas: a glowing light bulb. The notion that achieving an insight is akin to shining a light on a darkened space has been traced back to Plato. Could it be more than a metaphor? To find out, a research team led by psychologist Michael Slepian of Tufts University conducted a series of experiments. In one, 79 college students were given three minutes to solve a spatial problem involving connecting four dots via straight lines without lifting the pencil form the page. Just before leaving the room so the participants could begin, an experimenter remarked “It’s a little dark in here” and turned on either a lamp with an unshaded 25-watt bulb (which was visible to the students), or an overhead fluorescent light. 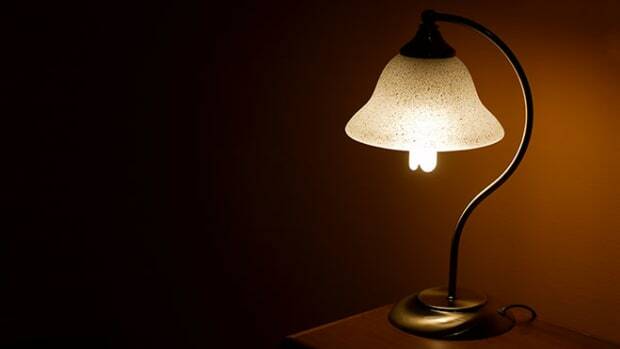 Forty-four percent of those exposed to the bare bulb solved the problem in the allotted time, compared to 22 percent of those sitting under the florescent fixture. In another experiment using that same technique, 69 students were asked to complete four algebra equations – three of which could be figured out using “a multi-step incremental process,” and a fourth that required a leap of insight. 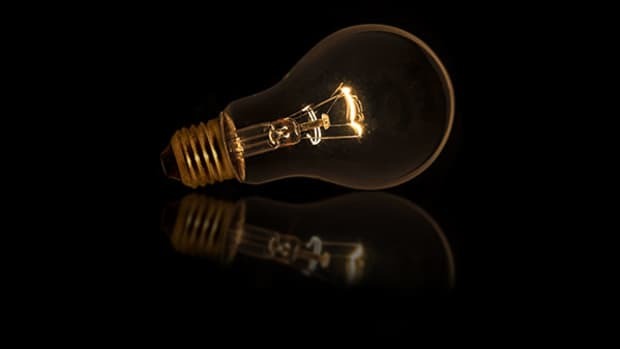 “Compared to participants exposed to fluorescent light, those exposed to the illuminating light bulb solved the insight problem more often, but did not solve the non-insight problems more often,” the researchers report. “As predicted, participants exposed to the illuminating light bulb solved more triads correctly than participants exposed to the overhead fluorescent light,” they report. A different group of students took that same test while being exposed either to the bare, glowing 25-watt light bulb mentioned earlier, or to a shaded 40-watt bulb. Those exposed to the less powerful but unshaded bulb solved more triads correctly. Together, the studies clearly suggest exposure to an bare, glowing light bulb stimulates mental processes that lead to insights. Perhaps our brains are responding to a familiar symbol; perhaps the symbol retains its meaning because it reflects the way our brains operate. Either way, one thing is clear: All those cartoons and comic strips where a light bulb goes off over someone’s head were apparently a more literal reflection of reality than we realized. New research finds we’re better able to identify genuinely creative ideas when they’ve emerged from the unconscious mind.